Alumni weekend event being planned! Thank you to all of our sponsors in 2018! One of our supportive sponsors, Scott Gola! All of the Alumni Players & Coaches! The Winners with 8 Under! 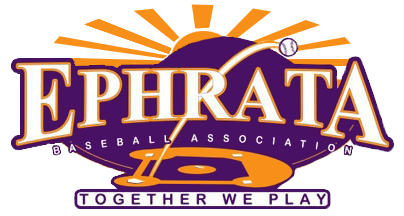 The Ephrata Baseball Association (EBA) and Mothers of Mounts (MOM) are excited to announce that the Mountshardball Open, EBA’s 1st annual golf tournament, will be held on Saturday, November 3rd at Foxchase Golf Club. We would like to invite you to participate in our inaugural event that will include 18 holes of golf, lunch, prizes, and a number of opportunities to interact with Mounts Baseball alumni, current players, and coaches. The event is designed to raise funds for facilities upgrades and improvements, and to promote the formation of the M.A.N. (Mountshardball Alumni Network). One of our goals for 2019 is to launch the M.A.N. through multiple social media outlets and via link on the mountshardball.com website. The alumni network will then serve as a forum for maintaining personal connections with past players and coaches while promoting opportunities to support the present state of the program (i.e., purchasing merchandise and apparel, supporting scholarship programs, and attending social functions for members). We are also proud to announce that the Orthopedic Associates of Lancaster will be this year’s “Grand Slam” title sponsor for the event, thanks in large to the efforts of Mounts alum Dr. Joel Horning (1998). With that said, we are still in need of hole sponsors, golfers, and volunteers to make this inaugural event as successful as possible. If you are unable to attend this outing we understand, but encourage you to consider supporting the event through donation or through a variety of other sponsorship opportunities. Participation forms are due by Wednesday, October 24, 2018 and can be emailed to Bobby Miller at ephratabaseballsponsor@gmail.com. Then mail your payment to the EBA at 642 Buchanan Drive, Ephrata, PA 17522 or deposit it in the drop-box at the EBA Academy. If anyone has any questions regarding the invitation, please call Bobby Miller @ 717-327-7730 or email ephratabaseballsponsor@gmail.com. Thank you for your support and we look forward to a great day!